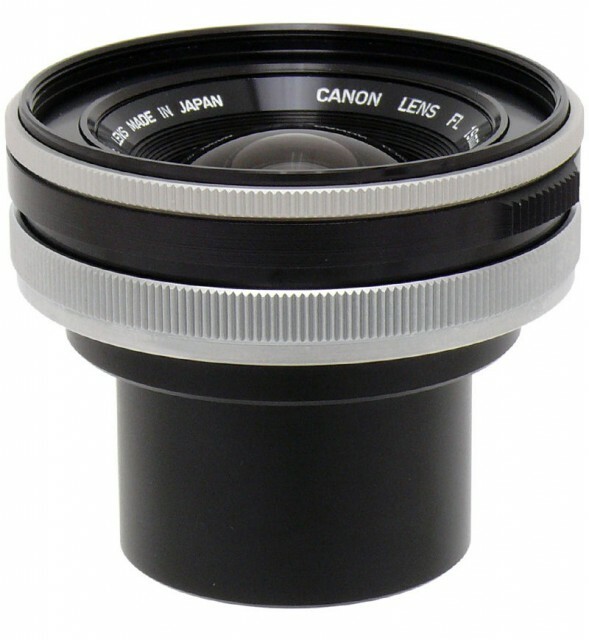 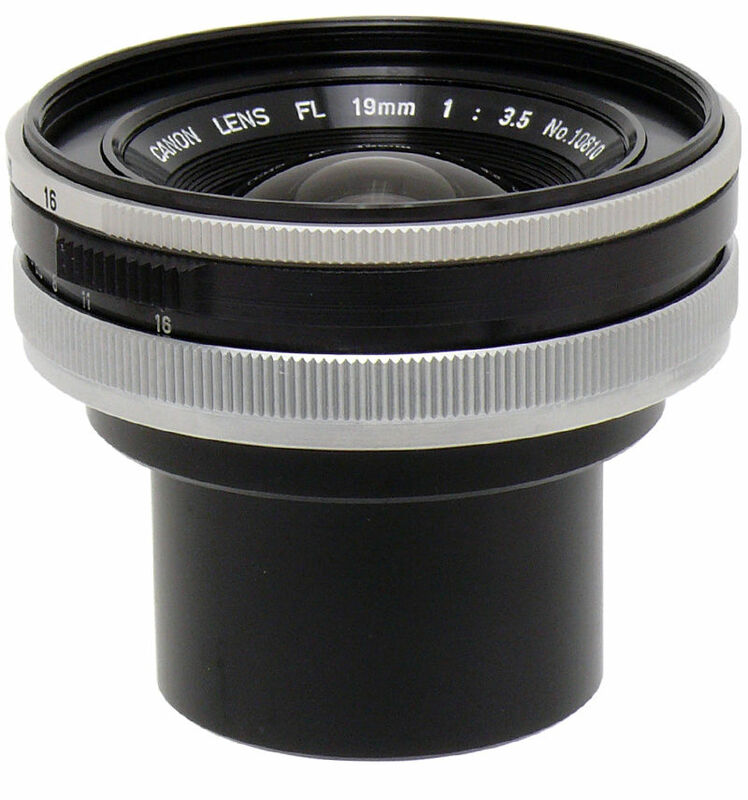 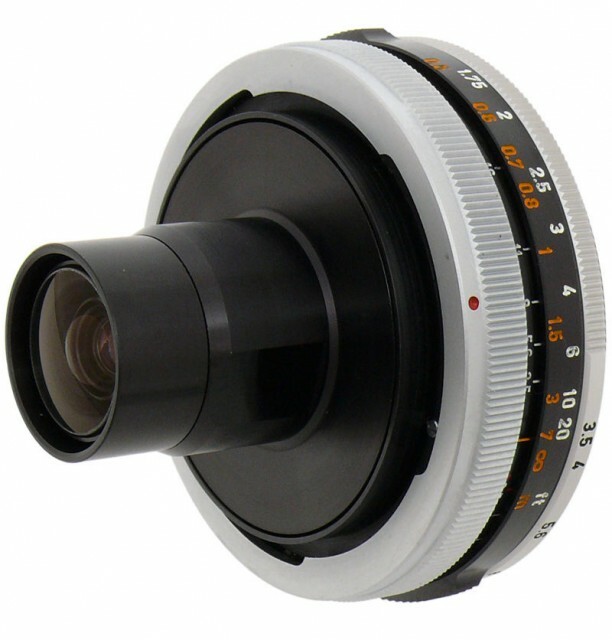 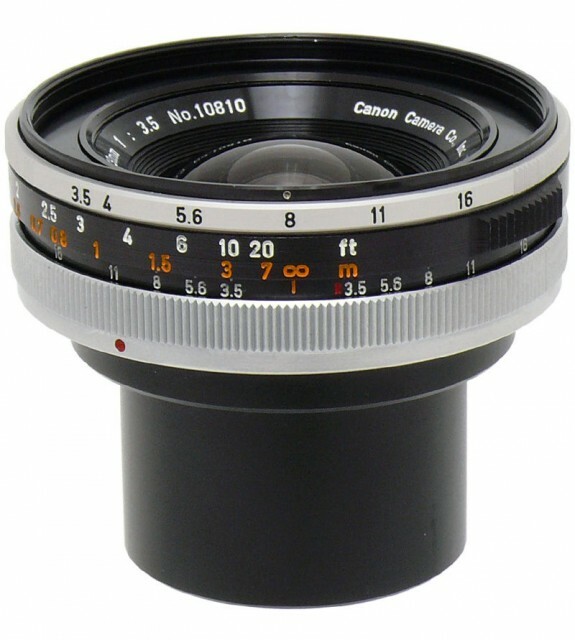 This super wide-angle 19mm lens boasted the largest angle of view of any lens for SLR cameras at the time. 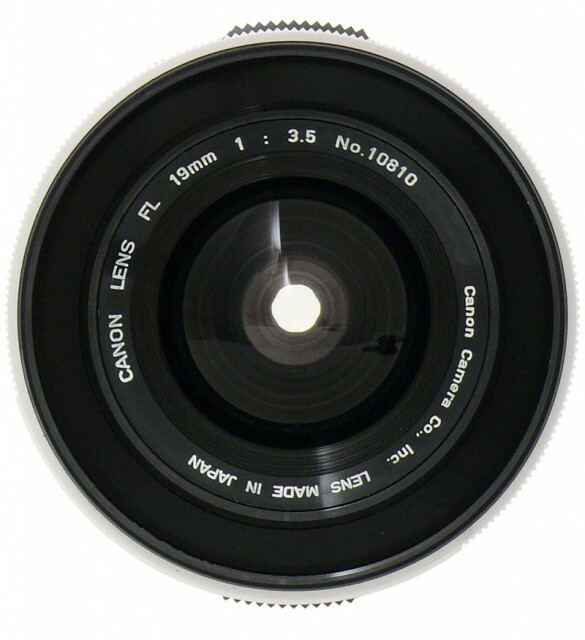 The symmetrical arrangement in the optical system with concave lens elements in the front and back and convex lens elements in the center made it possible to eliminate distortion, chromatic difference of magnification, and comatic aberration, known as astigmatism. 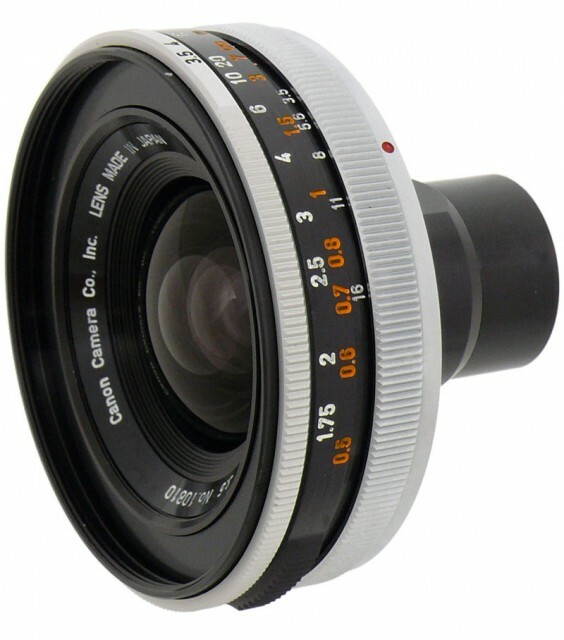 The concave lenses help achieve sufficient peripheral illumination while delivering a super wide angle. 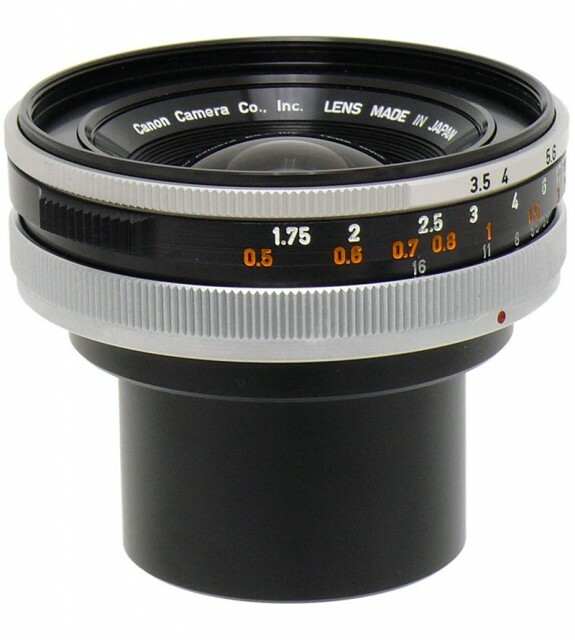 It was often said to be difficult to achieve a small lens size, correct spherical aberration, and deliver sufficient brightness from corner to corner with this type of optical system, but the FL 19mm f/3.5 succeeded thanks to the incorporation of the convex lens group. 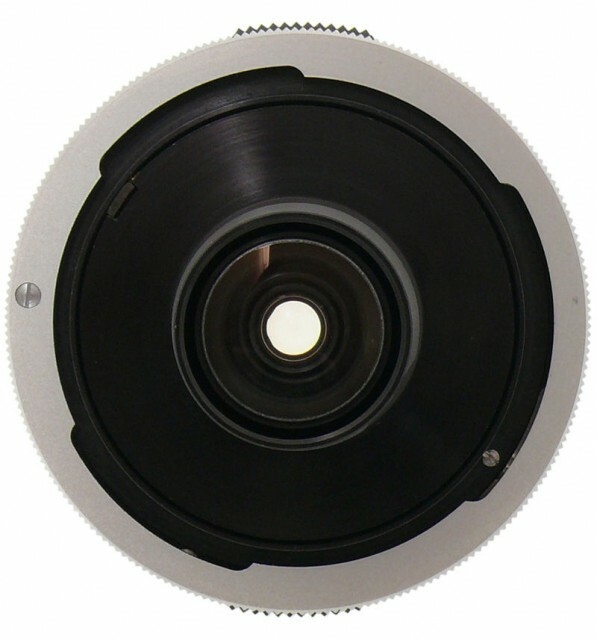 It was sold with a special finder, as attaching the lens required the mirror to be raised, and it was also used for portraits of women with a slightly surreal effect.